Chelseadaft News | Diego Costa | Marcel Desailly | Willian | Danny Drinkwater | Southampton. 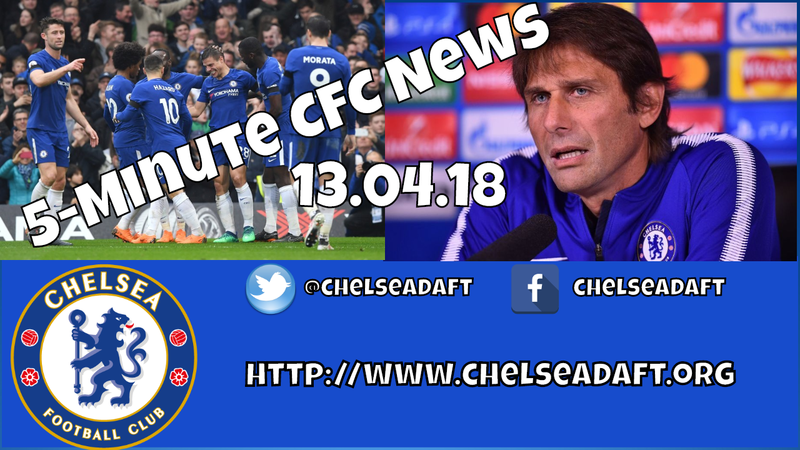 Ahead of Antonio Conte's press conference this afternoon, I focus on some of the latest news stories, opinion and interviews. In today's episode, Avram Grant on the decision to sell Diego Costa, Marcel Desailly on Antonio Conte and Chelsea, stating that the players are to blame and four or five of them should be sold rather than get rid of the manager for the 13th time under Roman Abramovich. Willian has his say on our season and the decision he made to come and join Chelsea. Danny Drinkwater is linked with a move away from Chelsea this summer due to frustrations over his lack of playing time here this year and finally we look at Southampton tomorrow.